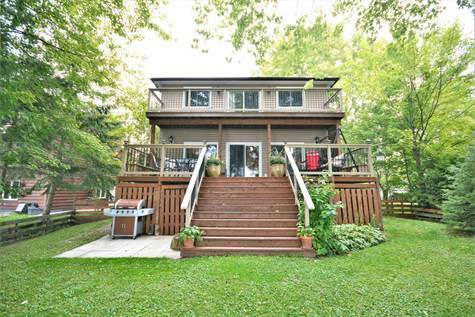 Awesome custom built 4 bedroom, 3 bathroom home on Lake Simcoe. Enjoy amazing sunset views from the 48' dock. Tastefully designed interior with quality finishes throughout. Features a spacious Kitchen with ample detailed cabinets and granite countertops, glass doors leading to the formal dining room, and an open Living room space with walk out to the lakeside deck. This home exudes the "wow" factor.